The Weaver Curriculum® is unlike any other unit-based studies on the market. How? Weaver starts with the Bible and weaves other academics into the studies. If you own a Bible, and have an Internet connection, you can successfully homeschool with Weaver! What's more, Weaver allows you to teach your K-6th children at the same time, regardless of their grade level. What does this mean for you? You get a full year's curriculum to teach multiple grades, a non-consumable curriculum that is reusable, and a Bible-based curriculum that focuses on God's Word. Studying the Bible is an important subject in your homeschooling day. Weaver Volume 1 is designed to start each day with Bible. From there, you'll branch out into social studies, science, and language arts. Suggestions for health and art classes, and field trips, are also included, as are vocabulary words. 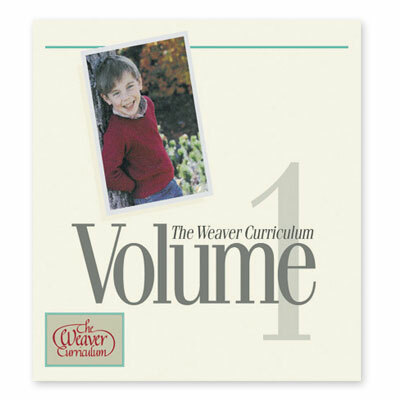 Weaver Volumes are designed to be used with their corresponding Day by Day lesson plan book and 7-12 Supplements. With these three items at your fingertips, you will have an elementary and high school curriculum complete with lesson plans and a resource list. Order your copy of Weaver Volume 1 from Alpha Omega Publications today and teach your children together.